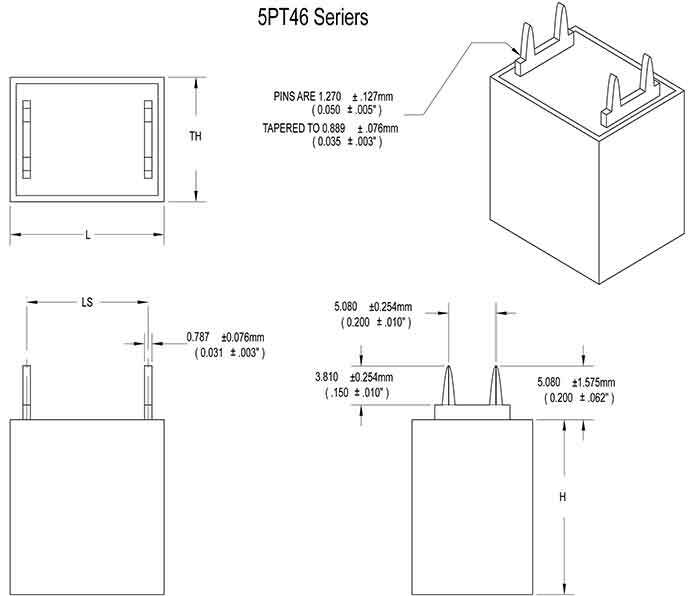 5PT Series | Film Capacitors - Electronic Concepts Inc. 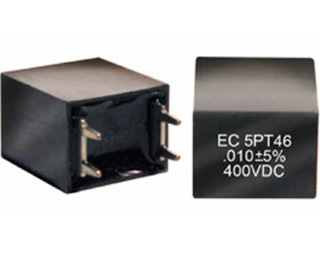 The type 5PT SERIES can meet the critical requirements of series resonant power supplies for higher current carrying capabilities at lower capacitance values, better than any other capacitor on the market today. Now circuit designers are able to build more performance into their systems and realize inherently greater reliability. To yield these higher current capabilities, Electronic Concepts had developed new capacitor construction that incorporates heavy metal electrodes in a very densely packed configuration. It is design exclusive to EC. 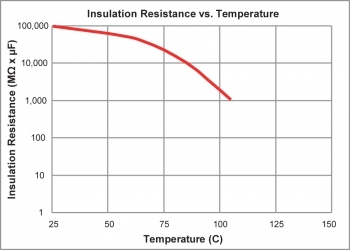 One that is able to extract significantly more current per MFD at a rated voltage than competitive brands. Tolerances of ±5%, ±2%, and ±1% are also available. EC PART NUMBER CAP µF VDC VAC ESR (ohms) 100 kHz 100 kHz dv / dt V/µs I PEAK (AMPS) ESL (nH) Fres (MHz) CASE NO. 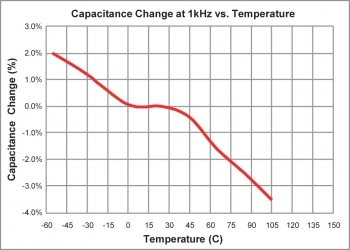 Note: The tenth character of the part number represents capacitance tolerance: M=±20%, K=±10%, J±5%. 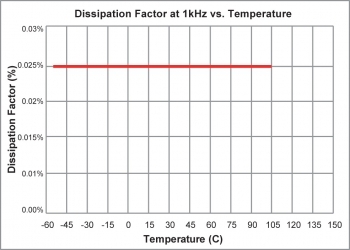 When measured at the frequency specified for capacitance measurement, the dissipation factor will not exceed 0.5%.